It is ironic for Israeli Defence Minister Avigdor Lieberman to oppose a plan to annex Area “C” of the occupied West Bank; it almost makes him a “moderate”. The head of the Jewish Home Party, Minister Naftali Bennett, has adopted this plan. This is a reality that reflects the political map in Israel, with rivalry between the extreme right and the more extreme right; this has become even more heated with the decline of the left and the disappearance of the “moderate right”. 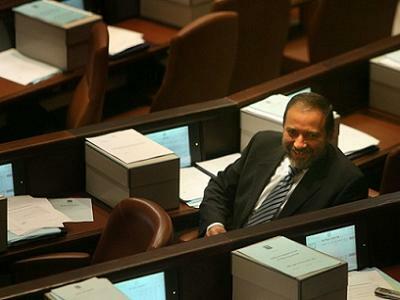 In an attempt to belittle his opponents in Jewish Home, and to appear more committed to the new and old settlements project, Lieberman stated that such promises may well attract votes but will also harm the whole concept of settlements. Instead, he called for some “wisdom” and the refraining from taking provocative steps that would make the task of Israel’s enemies easier. Such is the case when the race is on between those who believe that the settlement project is part of their religion. It is a race to appease and flatter the settlers; a competition over the extent of loyalty and dedication to their project. 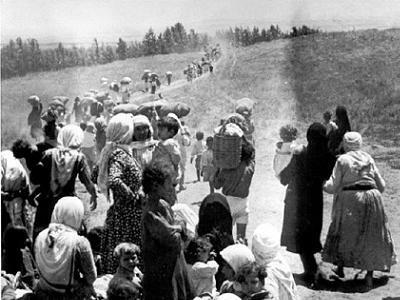 However, led by Bennett, Jewish Home represents religious Zionism and constitutes the ideological material for settlements; it is heading for electoral gains, as it is reading the local and international political situation successfully. At the same time as seeking to pull-in Netanyahu, Lieberman and all of the parties in the government coalition to approve settlements, the party is also taking advantage of the Trump winds of change that predict a shift in the US position. The purpose is to propose and market its plan — that is already being implemented on the ground slowly but surely — as part of an annexation policy. Bennett’s plan, which he has revealed once more in the Journalism Post, stipulates the granting of Palestinian autonomy in areas “A” and “B” in the West Bank, which only amounts to about 40 per cent of the occupied territory; Area “C” — 60 per cent of the West Bank — would be annexed by Israel. The Jewish Home leader says that the resultant “Palestine” will be less than a state, but it will mean a lot, as it will have a central government and elections, if the Palestinians so want. They will manage their lives on their own, pay taxes to themselves, deal with their education affairs, collect their own domestic and commercial rubbish, and have complete freedom of movement without Israeli checkpoints. According to Bennett, the plan will include economic investment in the infrastructure — including a land port in Jenin that is linked to Haifa — as well as major road developments. He added that there will be free tourist areas that link Nazareth to Nablus, Jerusalem and Bethlehem, and the Palestinians will get everything they want in order to “prosper”. However, the refugees will not have the right to return, not even to the autonomous areas, and Areas “A” and “B” will be demilitarised. The actual “Palestinian state”, explains Bennett, will only exist in Gaza, which already has three of the four elements of a state: clearly defined borders, an effective governing body, a military force and international relations. 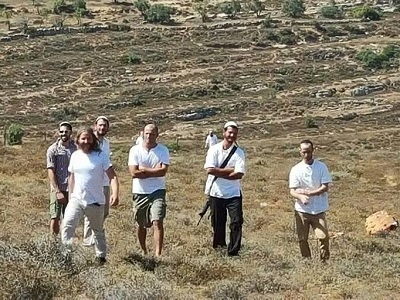 Those who believe that Bennett’s plan will become ink on paper will soon discover that they are mistaken, because he is working towards gradual annexation; he has called on the government to approve a draft law to annex the illegal Ma’ale Adumim settlement, located on the outskirts of Jerusalem, by the end of the month. Such a law is nothing new; it was formulated in the past by the parliamentary lobby movement Land of Israel, made up of all the government coalition blocs with the exception of Yahadut HaTora. It was signed by all of the leaders of these blocs, including Likud and Yisrael Beiteinu. As in the case of the settlement bloc law, Bennett knows that Lieberman and Netanyahu would not dare to vote against such a law in the Knesset because they are too cowardly to stand in the way of the wave of settlement expansion. He also knows that Netanyahu will oppose the move from behind the scenes in order to prevent the law from being proposed at the Knesset, or he will use the excuse of fearing international law and involving Israel in war crimes. However, the prime minister’s desire to see all of Palestine to be granted to Israel is no less than Bennett’s, although he prefers to wait for Trump to enter the White House. That may provide an opportunity to pass this law and “legitimise” the so-called “Greater Jerusalem”, cutting-off the West Bank and preventing the establishment of a Palestinian state. Such a scenario is not unlikely in light of the current division and the inability of the Palestinians to do anything, the general Arab fragmentation and weakness, and the rise of the extreme right wing across the world. Trump may be the first major sign of that rise, as may the decline of the Israeli peace camp.